The National Geographic Traveler lists New Orleans as one of the Best Trips of 2014. They mention our hot summer months as the time to come for hotel deals in New Orleans, but we know that December is also a great time to visit our city for fun activities and holiday specials. While we may not have snow in New Orleans, there are many places that twinkle with lights and fun activities to fill your December days and nights. Our favorite is Celebration in the Oaks in City Park. It opens November 29 and runs through the holiday season. City Park’s oak trees are covered in hundreds of thousands of white lights amid extravagant, detailed light displays across 13 acres. There are musical events and entertainment ranging from children’s choirs and bands to Irish dancing. The new light display opening this year is Christmas in the District. Launching November 30 along the Convention Center is an incredible ribbon of lights and spectacular displays synchronized to New Orleans Christmas music. New Orleans consistently rates high among travel writers and travel magazine readers as a great city for shopping. In and around the French Quarter you can find everything from original artwork and grand antiques to handcrafted voodoo dolls. On the edge of the quarter, the French Market is the oldest public market in the country and is the best place to find regional food items, local music cds, and gifts for every family member back home. Running through our Garden District neighborhood, where our New Orleans bed and breakfast is located, is the world-renowned Magazine Street. Six miles of some of the best antique stores, art galleries, craft shops and classy boutiques to be found anywhere in the city. During the month of December, the stores have extended hours, holiday decorations, and hold special sales and events to celebrate the Merriment of the Holiday Season. “Wake up” to a holiday feast at your favorite restaurant! 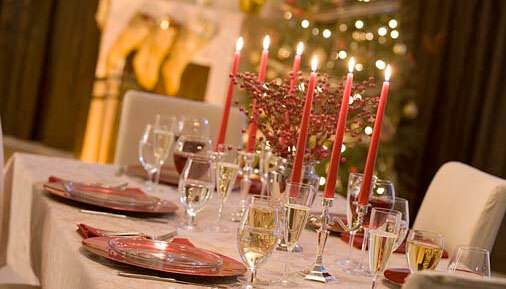 Reveillon Dinners are a Creole tradition from the 1800’s to “wake up” with a dinner following midnight mass. This holiday convention has been transformed in restaurants that serve sumptuous holiday feasts at incredible rates. Currently 34 restaurants are offering 4-course meals starting at $34.00, including our neighborhood restaurants: Commander’s Palace, Upperline, Brigtsen’s and Martinque Bistro. 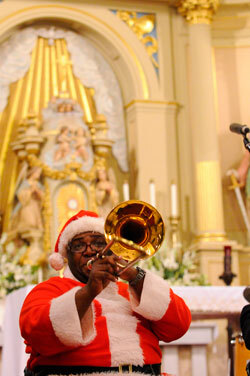 Christmas New Orleans Style also lists which restaurants are open on Christmas and New Years. Check with us next week for information on holiday home tours, Christmas concerts, bonfires to light the way and more. Check out our New Orleans bed and breakfast special at our New Orleans bed and breakfast today for your chance to stay in this historic city this holiday season. This entry was posted in Area Events, Dining, Garden District, New Orleans Christmas and tagged Awards, Christmas, City Park, commander's palace, dining, french market, restaurants. Bookmark the permalink. If you’re planning ahead, the month of December has always been a magical and economical time to visit the city of New Orleans with a stay in our Garden District Lodging, the Grand Victorian. 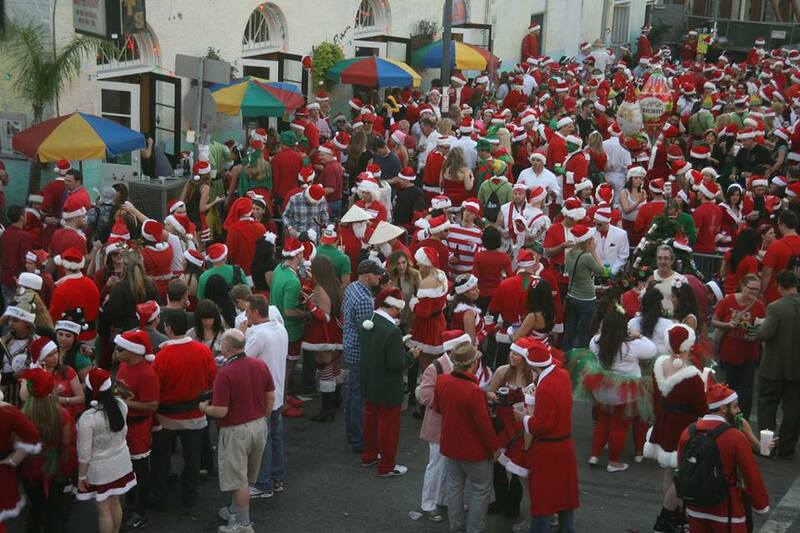 Now a new family-friendly event offers another opportunity to get into the holiday spirit. The New Orleans Ernest N. Morial Convention Center near the French Quarter and the Arts District will feature “New Orleans Christmas in the District,” a series of holiday-themed large-scale light displays celebrating the culture and history of New Orleans. Over 70 trees will be lit up in festive holiday colors with unique sparkling lights installed at the tops of many of the palm trees, creating a one-of-a-kind holiday environment. Tons of fun near our Garden District Lodging! 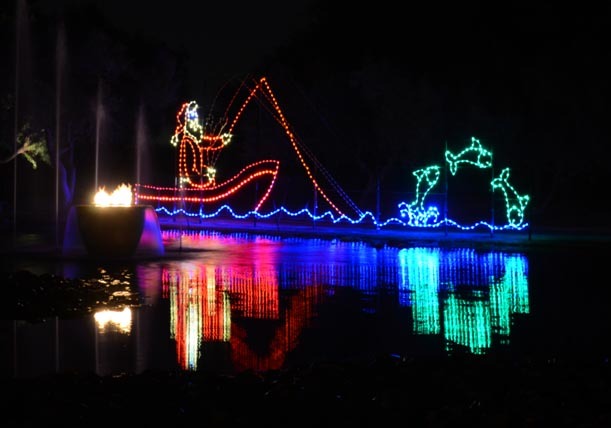 The display will include a unique digital Christmas tree, thousands of channels of lights that dance to the music and strobe lights that will surprise and delight visitors at just the right moments during the show. Garden District Lodging near festivities! New Orleans Christmas in the District begins Saturday, November 30, 2013, and runs nightly through January 6, 2014, and is free and open to the public. 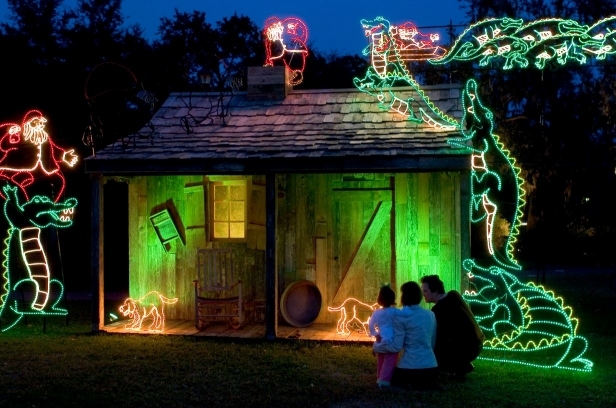 Check back at our Garden District Lodging to learn more about holiday events in the city. The Christmas in New Orleans guidebook is due out soon. Don’t forget to take advantage of our New Orleans Lodging weeknight special going on right now. Buy two weeknights and get the third weeknight absolutely free! This entry was posted in Garden District, New Orleans Christmas, New Orleans Festivals and tagged art, Christmas, Christmas in The District, convention center, New Orleans Christmas, New Orleans Lodging. Bookmark the permalink. 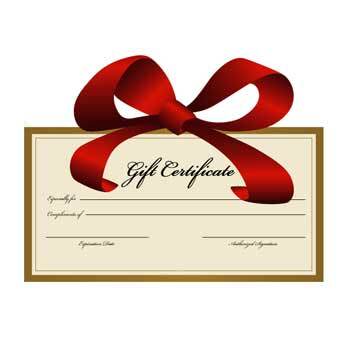 It’s not too late to order a gift certificate for a holiday gift or wonderful thank you for that terrific client or business associate. If you want give someone a little peace this holiday season, surpise them with a night or weekend in the peaceful Garden District. 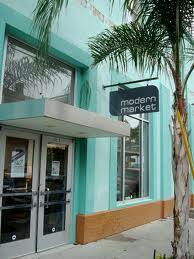 Fine restaurants, casual restaurants, historic tours and incredible architecture are all within walking distance. The streetcar line in front of the house will take you quickly and affordably to the French Quarter, New Orleans Museum of Art at City Park, or the Superdome. This entry was posted in Garden District and tagged Christmas, gift certificate. Bookmark the permalink.